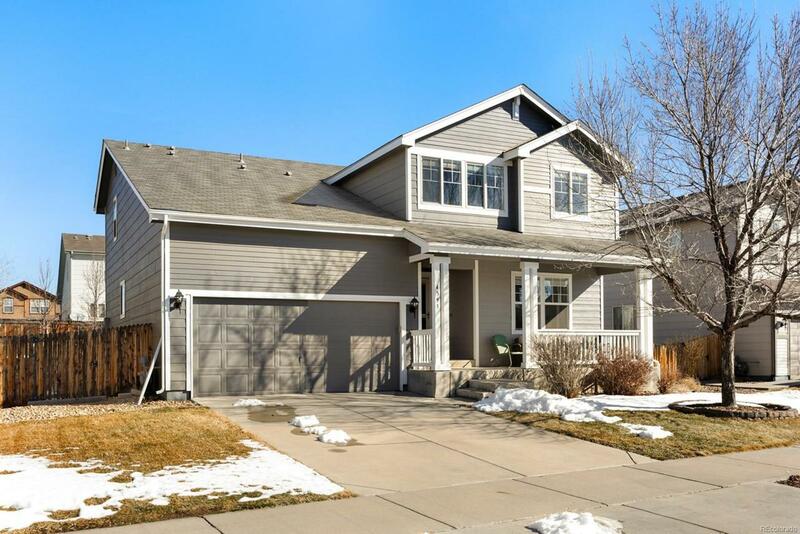 Beautifully maintained home with great curb appeal and an inviting open floor plan.. 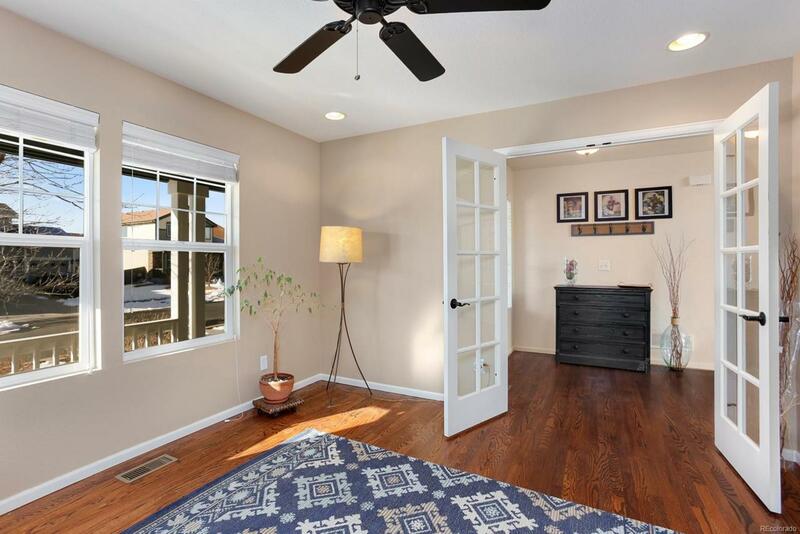 Gleaming hardwood floors, abundant natural light, vaulted ceiling in the living room and an open floor plan greet you as you enter. Living room features multiple windows, soaring ceilings, and pre-wiring for surround sound flowing into the dining room and kitchen for seamless entertaining. The kitchen features 42' cabinets and plentiful counter space for all your cooking needs. Upstairs is the relaxing master bedroom with serene backyard views, vaulted ceilings, walk-in closet, and a private en-suite bath. 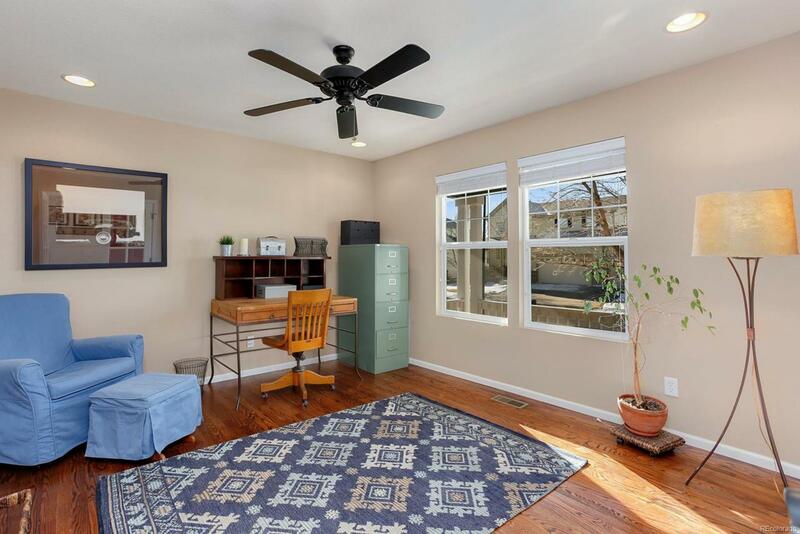 2 additional bedrooms and a full bathroom complete the upstairs. A full unfinished basement offers abundant future living space options. Featuring a large deck, gas line for grill, fire pit, and low maintenance xeriscaping, this great backyard is ready for summer entertaining. 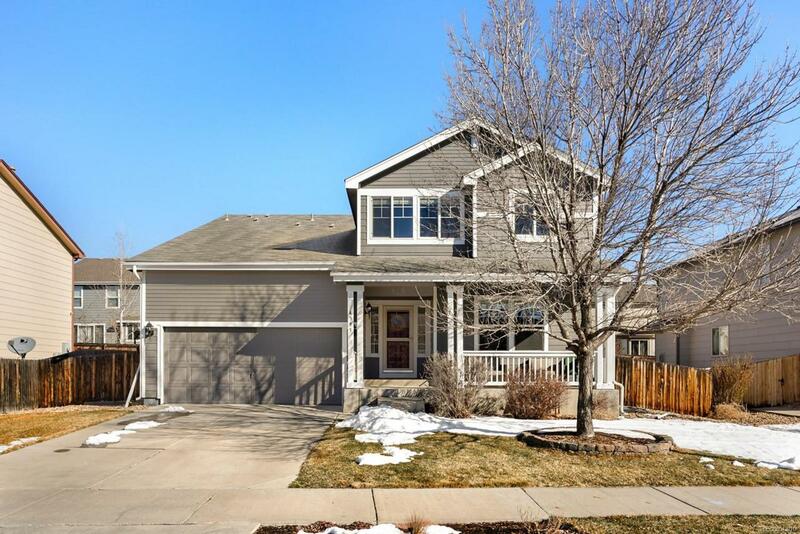 Walking distance to the local K-8 school, Water Tower Park and Fourteener's Park. Quick highway access for easy commute.